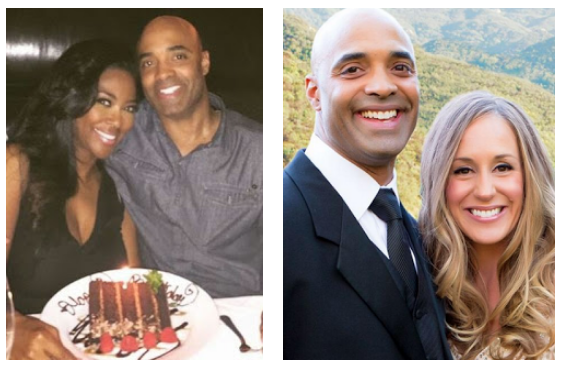 Real Housewives of Atlanta reality TV star, Kenya Moore released a statement yesterday saying she was surprised and hurt that her hook up on Millionaire Matchmaker, who was also featured on the RHOA show, is now a married man. She insisted that she did not know this previously and only found out after MTO broke the news of the man's marriage a few days ago. The man she hooked up with on Bravo's Millionaire Matchmaker is James Freeman, and today the man's wife, Jaimi Gregory, spoke out and said that Kenya knew her husband was in a committed relationship at least two weeks ago. Jaimi tells Radar Online that her husband had even forgotten he did the RHOA show and only told her about it when the commercials started airing. Freeman’s wife said that in the last two weeks Moore started reaching out to her husband again. The RHOA star was apparently not happy with his response and sent him a “mean” response, according to his wife. “Kenya wrote to him saying that they should celebrate since their ratings were so high. But he told her that he had met someone and fell in love so it wasn’t appropriate for him to talk with her anymore. Kenya wrote to him and told him that he hurt her brand. Of course he didn’t respond to her.